On the centenary of Ernest’s death I thought I’d reblog this, particularly as I’ve now developed his Lives profile and a few more sources have become available with the digitisation of material held by Sutton and Croydon Archives. 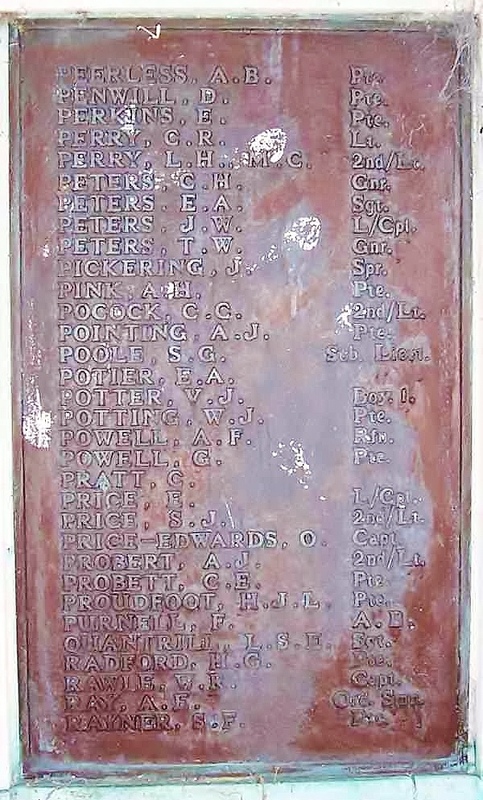 The Sutton material confirms that Arthur John Plowman and Kate Groves married at Beddington Parish Church on 19 December 1896. Arthur John was 24 and a packer, Kate was 21. Arthur John was the son of John Plowman (deceased), a gardener. Kate’s father was William Groves, a coachman. Arthur John was living at 6 Bridle Path, Beddington, while Kate’s address was 2 Railway Approach, Wallington. The next Sutton record is Ernest’s baptism, showing he was baptised at Beddington Parish Church on 5 June 1898, son of Arthur John and Kate Plowman who were then living in Wallington. Arthur John’s occupation is again given as packer. The Croydon records are school records, I’ve not found Ernest’s, but there are two for Doris. She was first admitted to the Parish Church Infants School on 26 August 1907. The address of 4 Ainsworth Road matches other records for the family. Her date of birth is given as 24 April 1902. Her second school was the Parish Church Girls School, to which she was admitted on on 29 August 1910. The family address is again recorded as 4 Ainsworth Road, her father’s name is given as Jack Plowman. She is in a block recorded as transferring from the infant school. She is further marked as having transferred to Mitcham Road School following her last attendance on 6 September 1912. Date of Birth is again 24 April 1902, though mistranscribed as 24/06/02. It seems Doris never married and died in the Borough of Merton in the first quarter of 2002 – she has proved difficult to trace in the 1939 Register however. Updated 10 May 2013: After the initial version of this page appeared on 9 May 2013 Andy Arnold reminded me of the Croydon Roll of Honour, which has filled in a few more details, and allowed me to correct a couple of details. The update has also allowed me to correct a number of typos. 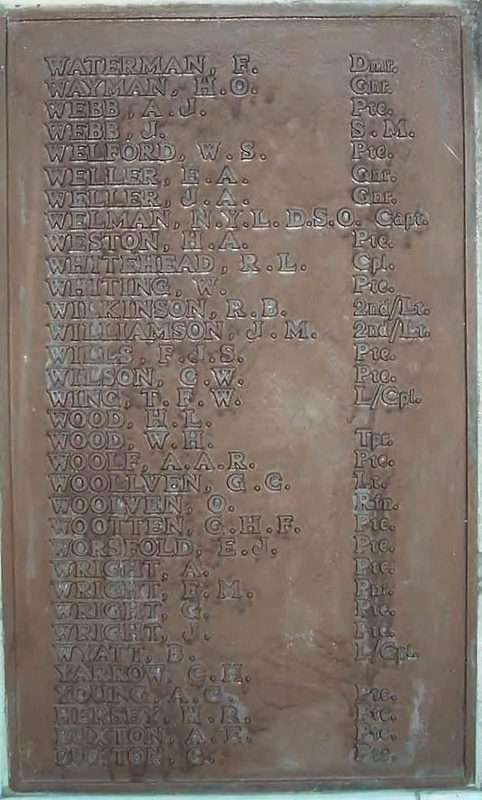 This entry was posted in 13 Battalion, April, Beddington and tagged Arthur Ernest Plowman, Beddington, Croydon, Sutton War Memorial on 29/04/2017 by davidunderdown95. Thanks to Alan Seymour who is beginning a similar exercise for the ringers of the Sussex County Association. He originally hails from the Sutton area and has supplied me with photos of Rayner and Webb’s names among other information (both were Benhilton ringers. He was also able to tell me that the original CWGC registers show that Webb died of pneumonia, increasing the likelihood that he was a Spanish flu victim.